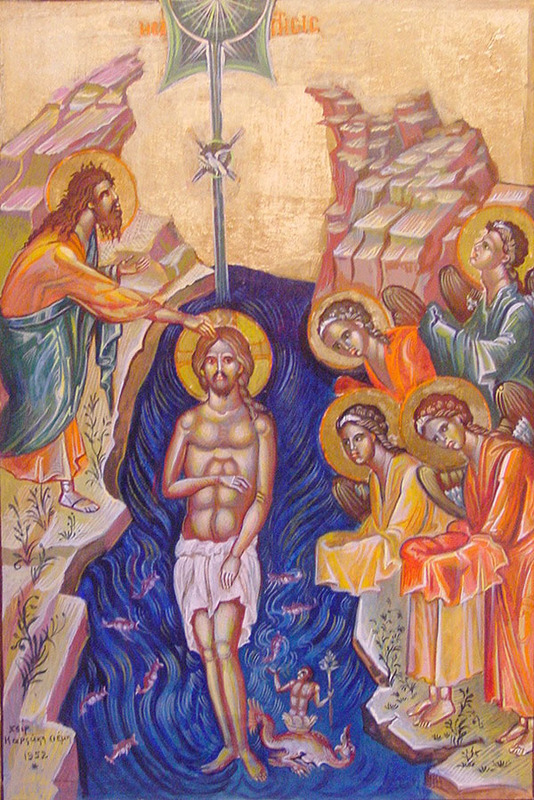 The Holy Theophany of Our Lord, God, and Saviour Jesus Christ (Baptism of the Lord). A Joyous Feast to All! Thou wast Baptized in the Jordan. Glory to Thee O Lord. Glory to Thee! The above Troparion is chanted by the Northwests own St Anne Orthodox Church in Corvallis, Oregon. The waters beheld thee, O God, the waters beheld thee and feared. Let the people, O God, confess to thee; let all the people give praise to thee; the earth hath yielded her fruit. That these waters may be sanctified by the power, and effectual operation, and descent of the Holy Spirit. for the voice of the Father bore witness to Thee, calling Thee His beloved Son. Thou didst bow thy head to the Forerunner, thereby crushing the heads of the dragons. And having stood in the streams, thou didst illuminate the whole creation. Wherefore, let it glorify thee, O Saviour, thou Illumination of our souls. The Lord is upon many waters. I will love Thee O Lord my strength. Thou didst appear in the world, O Creator of the world, to lighten them that sit in darkness. Wherefore, O Lover of Mankind, glory to thee. This entry was posted in Events, Sunday Snapshot and tagged 2019, Great Blessing of the Waters, Orthodox Epiphany, Orthodoxy in the Northwest, Theophany. Bookmark the permalink.